If you've just bought a Samsung Galaxy Watch Active or you're weighing up whether to buy one, we can tell you that it's a very good smartwatch. 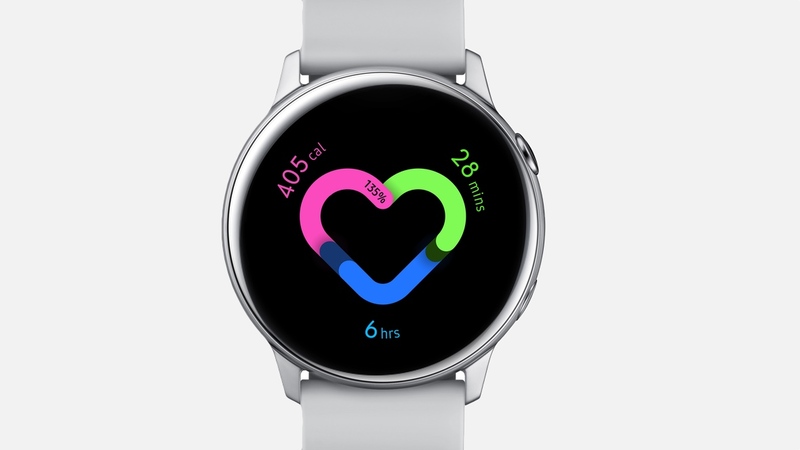 Don't be fooled by the fact it's cheaper than the Galaxy Watch either, as the Active packs in most of the same features albeit in a lighter, more streamlined design. We've spent a fair amount of time living with the Active now, so we'd like to think we've got a good grip at what it's capable of. It's a feature-packed watch, so much so that you might miss out on some of the tricks it's capable of. That's why we've pulled together some of the handy hints. Read on for a rundown of our top tips and tricks to get more out of your Samsung Galaxy Watch Active. This is a really useful feature, particularly if you're planning to sleep with your Active while stretching the battery life closer to that maximum two-day battery life. Goodnight mode will mute all alerts apart from alarms and notifications. Something you still can't do on an Apple Watch is keep the screen on at all times. On Samsung smartwatches it's an entirely different story. Doing this will inevitably impact battery life, so that's something to keep in mind. If you're happy to take that battery hit, there's a couple of ways to turn it on. The easiest way to do it is from the quick settings menu, which you can access by swiping down from the main watch screen. Tap the cog icon, which will push you into the settings and the first option in settings will be Watch faces. Tap on that menu and then scroll down to Watch always on and tap to turn on or off. We don't know how useful this will be to everyone, but Samsung has included the ability to launch apps automatically simply by navigating to them. So when you're inside of the app tray and the indicator is pointing to a certain app, it'll launch it without an additional tap. It's turned off by default, so you'll need to go into the settings and into the Apps menu and look for Auto open apps. Tap it to turn the feature on and it should now start to work. If you're the kind of person that wants to personalise every aspect of your smartwatch experience, you do have the ability to change the background that appears when you swipe through screens on your Active. You can do this from the Galaxy Wearable smartphone app, but it's much easier to do it from the watch itself. Make your way to the main settings and look for the Display menu. Search for Background style and you'll be able to pick from a range of different looks and colours. Once you've selected your new style, the changes will be made instantly. When you first get your Active and it's all set up, you'll notice that it already has a bunch of widgets (additional screens to view bitesized information) arranged for you. You can of course add more widgets, but you can also ditch some you don't think you'll be using regularly. To remove a widget, simply swipe to the one you want to get rid of and press down on the screen. You should see a small icon with a minus appear, and you can tap that to take it away. The Active is one of the more comfortable smartwatches we've used in the gym and out on a run. We know that for a lot of people, it's important to choose what they see when upping that heart rate. Thankfully, it's pretty easy to do that here. When you're ready to start a particular workout, select the small cog beside it and select Workout screen. From here you can choose each data screen and swipe on each field to adjust. Additionally, you can choose whether to have access to the music playback controls and select whether you can display your target goal on a workout screen. Samsung recently announced a partnership with the mindfulness app Calm for monitoring your meditation sessions with the Active. The tie-up will let you pause and play mediation sessions that are launched from the Mindfulness section inside of the Samsung Health app. Additionally, after those meditation sessions, you can also see a breakdown of your stress levels on the watch. To start a session, go to the Samsung Health app and go to the Discover tab. Once you've started a session, a notification (like in the image above) will appear on your watch telling you that your stress will be monitored during the session. If for any reason you feel the need to capture a screen on your smartwatch, the way to do this is to swipe right on the screen while at the same time pressing the Home button (the bottom right physical button) to take a screenshot. It's quite fiddly to do and you may end up opening up the Power off screen the first few times. The pics are stored in the Gallery app on the watch, and to view the screen captures you'll have to manually transfer these to your phone. Unfortunately, this isn't a feature iPhone owners can make use of as well.